Original artwork by Shirley Winsor. Inspired by the TV show - "Little House on the Prairie." 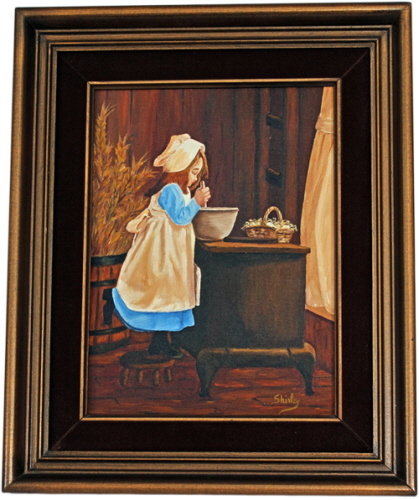 The little girl is modeled after Laura Inglels as she prepares a meal for the family.